The Asbury Park Press reports that the Governor’s new law will level the playing field so that renters (Mom and Pop, Airbnb and anyone else who offers short term rentals) will pay a 5% occupancy tax and a 6.625% sales tax, just as the hotels and motels do. APP link Oct 2 below. This will raise the prices of all such rentals, and it can be a large amount of money for a family looking to spend a couple of weeks in the Grove next summer. 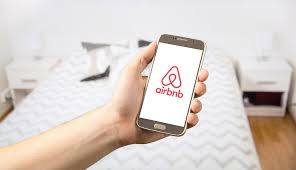 This has nothing to do with the recent Blogfinger debate about whether Airbnb short term rentals, even for just one night, are bad news for the town. 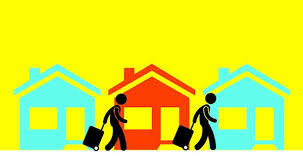 You can use our search box (upper right corner) to type in Airbnb, short term rentals or other key words. The new taxes went into effect yesterday, Oct. 1, 2018. Do you think this is a gift of gratitude to the real estate industry? Excellent. Let’s send more of our money to the Governor. Just walk the line. And how are they going to find these people, how?? Neptune code doesn’t even seem to know where these “rentals” are when questioned. Shelley: Just to be clear, Airbnb charges the taxes on behalf of the renter and the owner. But for those Mom and Pop types who simply “rent out ” their home or apartment at the shore, they have gotten used to not paying such taxes. They now have a moral dilemma. For those who rent their places through a realtor, and thus pay that fee, no taxes are required—something fishy about that! There’s something fishy about most things that go on in Neptune. Editor’s note: What will Neptune come up with re: Airbnb? And will they charge a municipal tax for short term rentals?